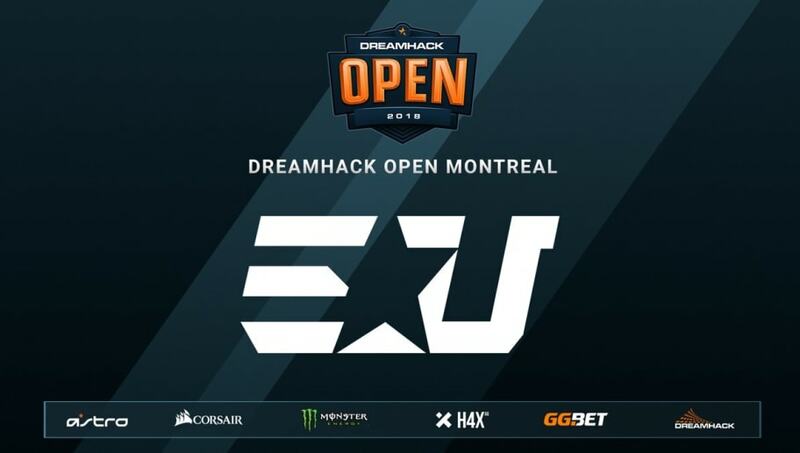 DreamHack has chosen eUnited to be the eighth team at next month's invite-only DreamHack Montreal Counter-Strike: Global Offensive event, the tournament organizer announced Thursday. The final team coming to #DHOpen Montreal are.... @eUnitedgg! The Canadian CS:GO event doesn't have many of the biggest teams attending the tournament because the FACEIT London Major happens at the same time, but has a strong showcase of Tier 2 teams trying to prove themselves. The last few months haven't led to any particularly strong results for eUnited with the team placing third at the Americas Minor, thus not qualifying for the Major, despite beating NRG in the playoffs. The team will be the only North American team in attendance and will likely have will have a home crowd advantage with Canadian Kaleb "moose" Jayne in the lineup.